the fruitiness of pink peppercorns and the sublime dry warmth of nutmeg and mace, creating an overall impression of a full-bodied red wine. 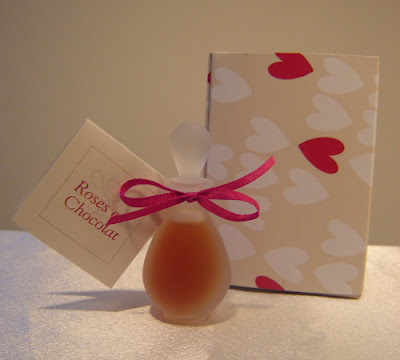 Roses et Chocolat is offered as a limited edition. We only made 7 bottles, packaged in heart-decorated boxes (see image), and will be happy to save one for you, which can be shipped to you at the end of January, to arrive in time for Valentine’s Day. * Like all of our Limited Edition fragrances, the fragrance is available until quantities last, but can be also made on-request when special-ordered. If the demand will exceed our expectations, we may add it to our permanent collection. 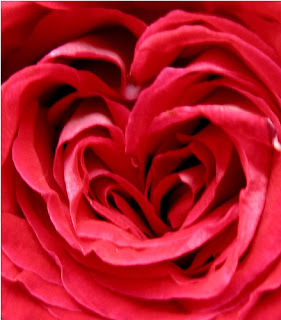 I have to say this sounds completely yummy and you hear this from a person not much into roses. But I am sure you have done marvels with them. Best of luck and hope people do pick it up!